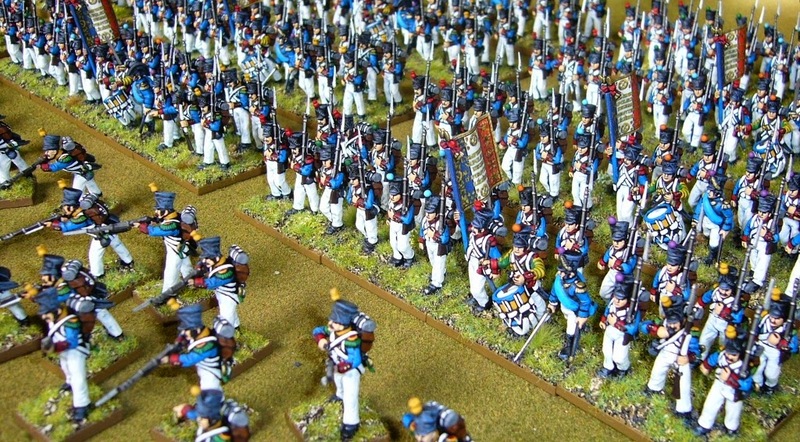 It's that time of the century when wargamers all over the world are getting ready for the bicentennial of Waterloo. 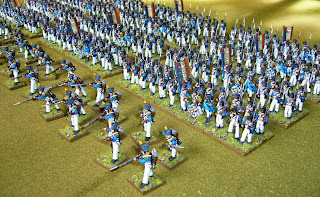 I've been polishing off heaps of French infantry, and now have a dozen 24 strong units, plus three 12 strong units of skirmishers. These are all Perry plastic figures, though I selected only models without greatcoats for this group as I think they look better. 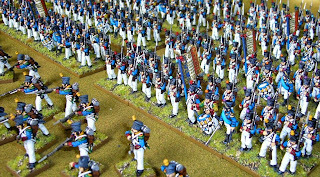 The skirmishers have a role in the second Waterloo game we'll be playing using General de Brigade. For the first game using Blackpowder they are abstracted and not required. 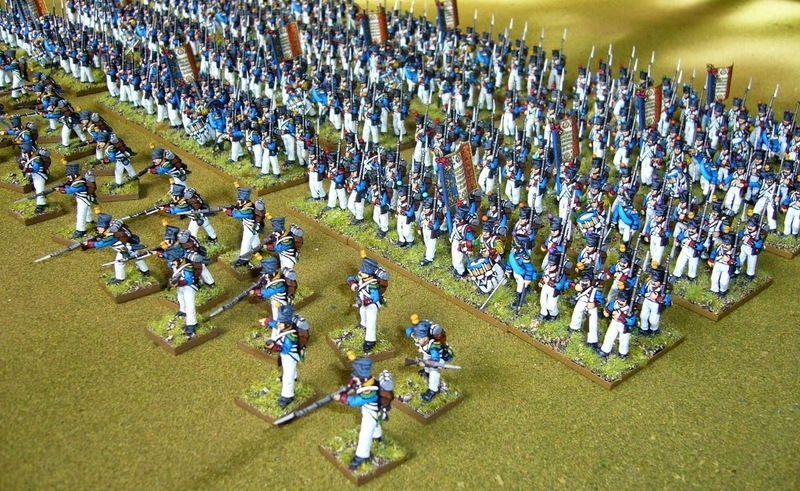 Before June 13 I need to get another dozen French Lancers, 4 artillery and some generals done. In the first Waterloo I'm taking the role of Lobau and in the second Ney so they are also on the painting table! Wow! An impressive turnout, Chasseur! Very much a 'wow!' seen all drawn up like that. Nicely done, as well. Should be a magnificent looking set games. Cheers Pancerni, yes looking forward to it! Mark as always excellent and big! That's more french than I've managed to paint in five years! Dammit sir, you are putting us all to shame! 😉 They look fabulous too! Thanks AKI, was good to get them all finished! Yes I know!! But got to do what the locals do. Particularly annoying because 6 stands of 6 looks better for French! I will combine battalions if needed for GdB scenarios. Very nice! Begs the question though - what are you going to do with the great coated chaps? Cheers Dean, great coats will be conscripts! Cheers, yes looking forward to getting them on the table. Does one ever really have enough? Yes I'm aiming for a lot more. My wife is very understanding thankfully! Massively wonderful display of French! Gettin' so close now, isn't it?! Yes indeed, not long now! lovely work by you Mark! 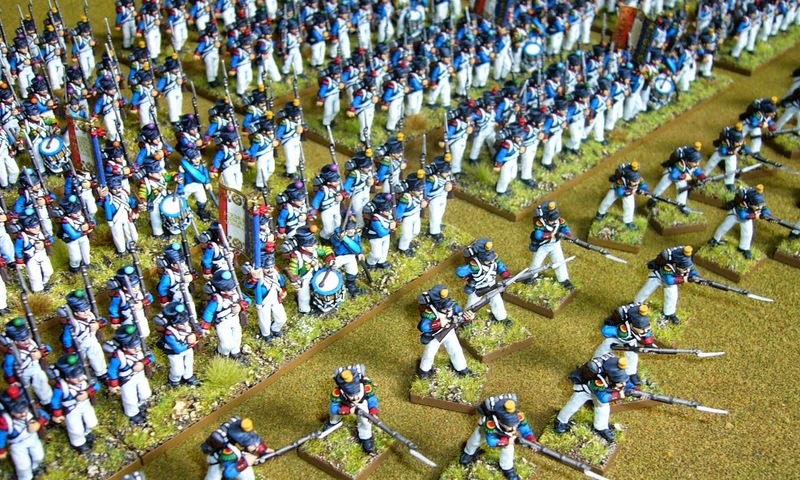 My first Napoleonics from 20 years ago!